Elizabeth L. Cline spent more than three years probing the underbelly of the American fast-fashion industry. Her discoveries, prompted by an epiphany over the absurdity of $7 shoes from Kmart, led her to write Overdressed: The Shockingly High Cost of Cheap Fashion. More than an exposé, it’s also the story of how we went from a society of make-do-and-menders to a nation of addicts caught in an endless vortex of overconsumption, waste production, and post-purchase malaise. We chatted with Cline about how disposable fashion is anathema to our economy, our environment, and our psyches, and the concrete steps anyone can take—yes, even you—to break the buy-and-toss cycle many of us find so impossible to escape. I noticed some pretty dramatic changes in my shopping habits. I got to the point where I was pretty much buying only cheap clothes and I was buying a lot of them. I saw my friends and family shopping the same way. And I wanted to delve into what’s happened in the fashion industry that’s changed our consumption patterns so dramatically from a seasonal fashion cycle to an almost weekly or monthly fashion cycle where we’re treating clothing as a disposable good. I was surprised there wasn’t a wider conversation about this taking place on a national level. People do seem to be talking about the subject more in the United Kingdom than in the United States. They do; I think it’s partly because fast fashion started in Europe. You have H&M coming out of Sweden, Zara coming out of Spain…they started having these patterns of consumption before us and I think the conversation is a little bit ahead of where it is in the States. Lucy Siegle, a U.K. journalist, put out that very wonderful book earlier this year, To Die For: Is Fashion Wearing Out the World earlier this year, so [fast fashion] is not a problem that’s specific to the U.S., but I decided to focus the book on the U.S. market because I thought it would resonate strongest with the readers here. Why do you think the U.S. isn’t quite there yet when it comes to discussing these issues? Mass-market clothing really took off in a big way in the U.S. We’re the ones that have had this history of department stores that have turned into chain stores, and we just have a very specific with garment production and retailing…and it’s different in the U.K. So I think part of it is because of the way the industry is structured here. For whatever reason, we’ve never been as comfortable as Europe with the idea of spending money on clothes. For whatever reason, we’ve never been as comfortable as Europe with the idea of spending money on clothes. We’ve always had this more puritanical, thrifty view about fashion; I think we’ve always been sort of wary of it. And that aggravates the whole problem—people use that as justification for being cheap. Clothing just isn’t something you should spend money on. It does seem that Europeans care more about investment pieces that last forever. Right; we got away from that habit much more easily. That’s probably a whole other book about why America has that history as compared with what’s going on in Europe. Has the economic recession cooled our shopping habits any way? 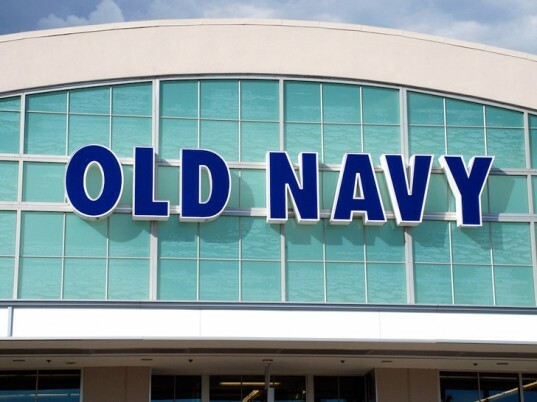 After the recession started, you would think that consumers would turn back a little bit more to investment pieces, but actually the stores with the highest brand strength—and I discovered this while researching the book—are the cheap-fashion chains. After the recession started, consumers weren’t reining in their consumption, they were just buying cheaper clothes. Are we still buying the same amount or are we buying more or less? There was a dip in 2008…our consumption was around $20 billion. But more recent figures put our consumption at $20.5 billion, so yes, we’re still buying more clothes than ever and [the numbers] just keep going up every year. What discovery surprised you the most while you were researching the book? So many things but one thing I found really shocking was when I went to the Salvation Army in my neighborhood and was shown this wall of clothing, and it was 18 tons of clothes wrapped up in bales and stacked up. And that represented just three days of castoffs at one Salvation Army location in one city in the U.S., and I think that visual for me was probably the most eye-opening in terms of realizing how much we’re consuming and how much waste we’re creating. 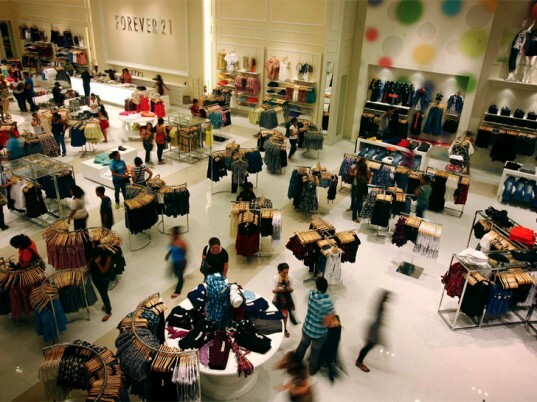 Do you see the industry giving up fast fashion any time soon? (Laughs.) I think what the goal should be is to pressure these retailers to behave more responsibly. 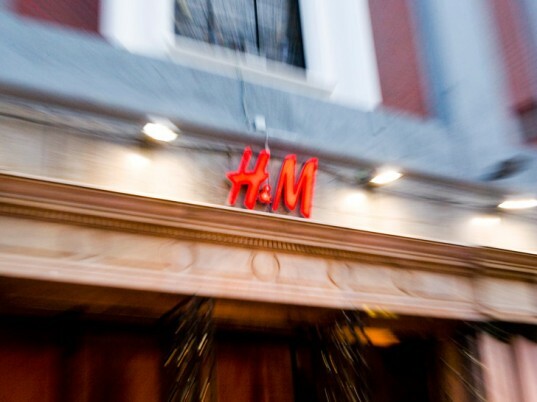 We are already seeing that: we’ve got H&M coming out with the Conscious Collection. Nike started up a shoe-recycling program. I think what the goal should be is to pressure these retailers to behave more responsibly. You see companies taking more initiative about improving their environmental footprint, and hopefully we’ll see more of that. And at the same time, I hope we see more consumers shopping in different ways, which I think will also put more pressure on the industry to change. Should the onus to consume more responsibly be on the manufacturers, the government, or the shopper? 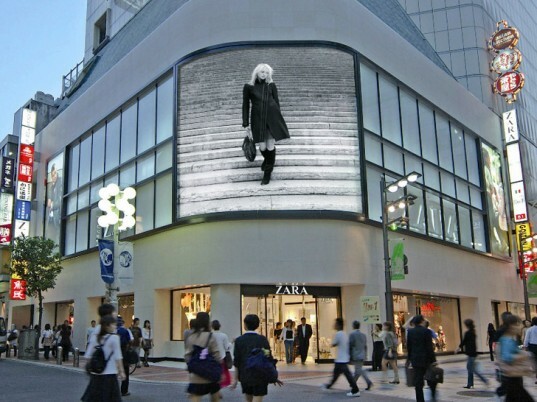 I wrote the book with the idea that the consumer has the power. We have to get to a place where we’re frustrated with the options out there, and I think we’re getting there: People like shopping for deals but they’re generally unsatisfied with what’s in their closets. People like shopping for deals but they’re generally unsatisfied with what’s in their closets. If people can channel that frustration into pressuring the brands and retailers where they shop, then I think that’s going to be the biggest source of change. In terms of government involvement, I would like to see more municipal textile-recycling programs and more government support for factory resources here. It’s very difficult for factories to stay up and running now, and I think the government should be involved in training and resources to build that industry back up. Is outsourcing our manufacturing to the third world a key contributor to the problem we have with disposable fashion? It’s a complicated issue, but I think that cheap fashion is only possible because garment workers across the world are being paid so abysmally. And the reason why we’re overconsuming is because clothes are so cheap. There’s something about human psychology where you see something that’s less than $20, you think “well, why wouldn’t I?” It’s like getting something for nothing. Cheap fashion is only possible because garment workers across the world are being paid so abysmally. The problem is that garment workers are not being paid a living wage; their wages are just not sustainable from an economic standpoint. They can subsist but they can’t do much more on those wages, and that’s a real problem. That’s what the book talks about regarding externalized and “hidden” costs in the price of cheap fashion. How can consumers break this buy-and-toss cycle we seem to be trapped in? I think the main takeaway here is that we really need to be more mindful. Right now people buy clothing on impulse a lot of the time. They buy clothing when they weren’t really meaning to; maybe they were just walking into a store on the way home from work and they walk out with something cheap. And of course you’re not going to get a lot of use out of it since you didn’t put a lot of thought into why you were buying it. Right now people buy clothing on impulse a lot of the time; they buy clothing when they weren’t really meaning to. I think what’s most important is for people to be strategic and mindful about their clothes. And that could mean sitting down at the beginning of the year and laying out a clothing budget. Americans spend $1,100, on average, on clothes, so you can stick to that. If you decide “well this is how I want to spend my money; this is what I need in my closet,” then that’s how you’re going to get away from just having impulse purchases you don’t get a lot of use out of. Has writing the book changed the way you approach clothing today? There’s been a complete transformation in my life. For instance I never used to look at fabrication labels but now fabric is now the most important thing for me when I buy clothing, and I’m not saying that that’s how everyone needs to be; I’m just saying that it was a personal shift for me. I don’t want to wear polyester; I want to wear silk and Tencel and modal and things that feel really good next to my skin. I feel like I have a more interactive and meaningful relationship with what I wear. I have most of my clothes tailored now. I learned how to sew. I certainly don’t make most of what I wear but I refashion a lot of it, so it’s like an old pair of jeans will become shorts. I alter most of my T-shirts, take out my skirts. I feel like I have a more interactive and meaningful relationship with what I wear, whereas before I would just walk into a store, get something off the rack, wear it one or two times and that was it. sounds like a great book! however, i'd like to point out that polyester can feel great against the skin and has wonderful recyclability. yes it's a petroleum-based product, but arguably no worse for the environment than cotton production. a little more love for polyester, please! Ugh! Polyester is that fabric they like to make kids pajamas from. No matter how soft your hands are, they always will snag on polyester as if they were terribly chapped. Ew! I can't stand that stuff! The problem here is that the more expensive "quality" brands use the same abysmal labour force. So unless you employ a seamstress this seems like a difficult thing to avoid. Some of my favorite clothes are things I have worn for years, and were not new when I got them. The "disposable fashion" trend is discouraging, but hardly new. And it has now become widely acceptable - even fashionable, in some cicles, to buy your clothing in thrift shops. Or "vintage clothing boutiques", if you don't mind being overcharged. And years ago, when skirt lengths changed, they ALL changed. If your personal style was different, it was difficult to find clothes. Now you can go to most stores and find a variety of lengths and styles. For having started a quality biomorphic clothing brand for wildlife and environmental support, it is true that people are so used to cheap fashion that they cannot easily switch. No easy solution for this. Seems that we need to suffer the consequences of our carelesness to change. And this, for sure, is coming. I will have to apologize to my kids. 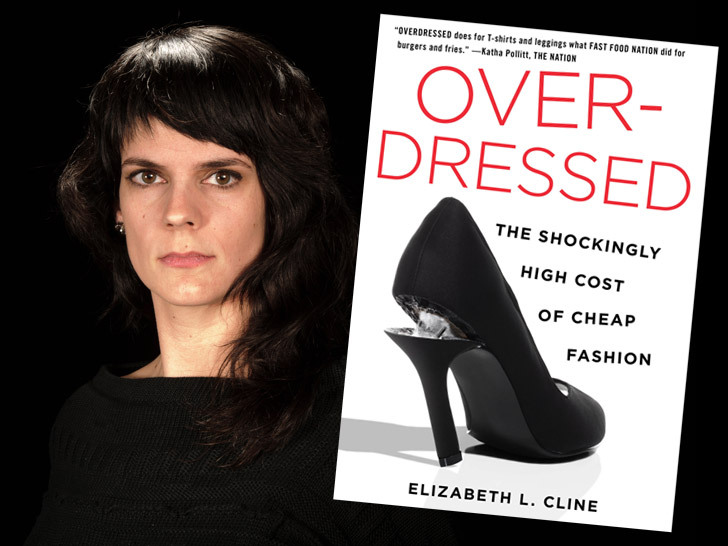 Elizabeth L. Cline spent more than three years probing the underbelly of the American fast-fashion industry. Her discoveries, prompted by an epiphany over the absurdity of $7 shoes from Kmart, led her to write Overdressed: The Shockingly High Cost of Cheap Fashion. More than an expos�, it's also the story of how we went from a society of make-do-and-menders to a nation of addicts caught in an endless vortex of overconsumption, waste production, and post-purchase malaise. We chatted with Cline about how disposable fashion is anathema to our economy, our environment, and our psyches, and the concrete steps anyone can take�yes, even you�to break the buy-and-toss cycle many of us find so impossible to escape.